A breif history of the Company. 2009 Provided enormous inverter resistance welding equipment for China aerospace system (120KA). Antech was the first China company advocating ISO standard and received the CE mark on the medium frequency transformer. 2008 Provided resistance welding equipment to prestigious China aviation industry. Our products also reached the China and international standard on aviation products and have passed those testing and inspection standard. Strengthened management system and implemented a new China well-known ERP system. 2007 Our sales in Europe and America received warm support and our products were improved continuously. Antech was the first China company received CE certifications in the spot welder and nut feeder. We have also acquired a 2.4 meter 3D measuring machine (FARO with optical scanning system). At the same year, the factory was renovated and expanded with the injection of additional capital and CNC equipment was acquired to improve the production quality. 2006 The welding products were exported to Europe in batches. Provided welding equipment and fixtures for auto-parts manufacturers in Europe and the quality products received favourable feedback from the users. 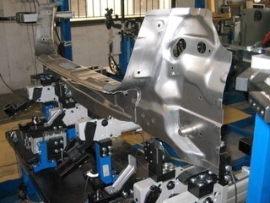 At the same year, the robot welding equipment for automotive industry was produced. Our company was the first supplier to provide medium frequency seam welders for production line of radiators. 2005 Provided the first set of medium frequency inverter welder to an aero-engine manufacturer in China, which is a Sino-US joint venture company where the US party is UTC. The product was completely tested and inspected by the US authority and met the standard of U.S aviation. For the medium frequency inverter welder applicable to the oil-filled column production line, Antech was the first company in China applying related electricity and electronic technologies in this area. 2004 Provided radiators production lines for many famous China users, and was the leading company in China applying the medium frequency inverter welding technology into the home appliance industry, and was the first China manufacturer that exported the medium frequency inverter welders to overseas customers; provided the resistance welders to aviation industry in China. 2003 Improved the management system by using ERP; acquired CATIA 3D solid design software to increase the development and production abilities. Established representative offices and agents in many provinces and cities in China. 2002 Acquired 5-axis machining centre. Antech was the first welding manufacturing company owning that sophisticated machine in China and South East Asia. Recertified the accreditation of the ISO9000:2000 quality system. 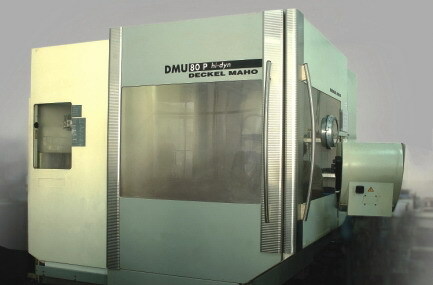 2001 Established representative office in Shanghai; acquired CNC lathe; developed 3-phase secondary rectifier welders with microcomputer control system and these welders received good feedback from the market. Developed medium frequency inverter welders at the same year. 1996 Acquired advanced CNC sheet metal processing equipment, developed China market, focused on the production and enhanced R&D capacity. 1995 Improved production structure and acquired semi-automatic production equipment, and the markets in Indonesia and Thailand were developed. 1993 A wholly-owned factory was set up in Houjie Town, Dongguan City, Guangdong Province, China. 1991 Welding products were exported to Southeast Asia. 1990 The Chinese factory was set up in Houjie Town, Dongguan City, Guangdong Province, China. 1989 Established in Hong Kong (Former Antech Electrical Engineering Company), produced high power stabilizers and transformers for almost 10 years.